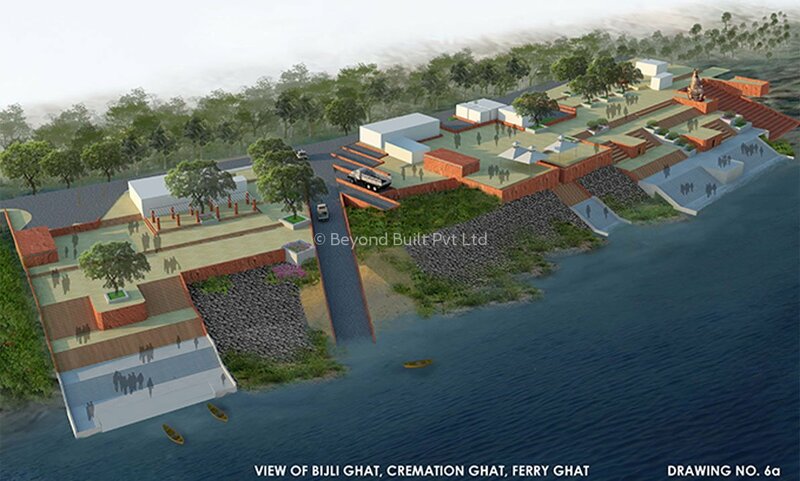 Design of these ghats attempt to revoke the memory of local architectural elements as well as convenience of riverside access. Design of these ghats attempt to revoke the memory of local architectural elements as well as convenience of riverside access. Unlike the ghats in the upper reaches of the Ganga, the lower velocity in this stretch enables ferry movement along with the traditional use for ablution and religious ceremony. Balance between natural and built has been addressed in the master planning for the river zone.